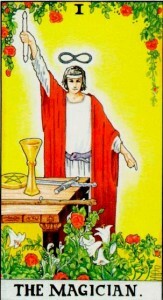 The Magician (also named The Magus or The Juggler) is the first tarot major arcana. We’ll see how it is interpreted by four important masters of tarot: A. E. Waite (1857-1942), P. D. Ouspenski (1878-1947), Aleister Crowley (1875-1947) and Papus (1865-1916, hi real name being Gérard Encausse). 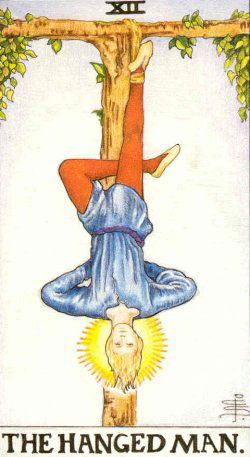 Reversed, the Magician can indicate: „physician, Magus, mental disease, disgrace, disquiet“. 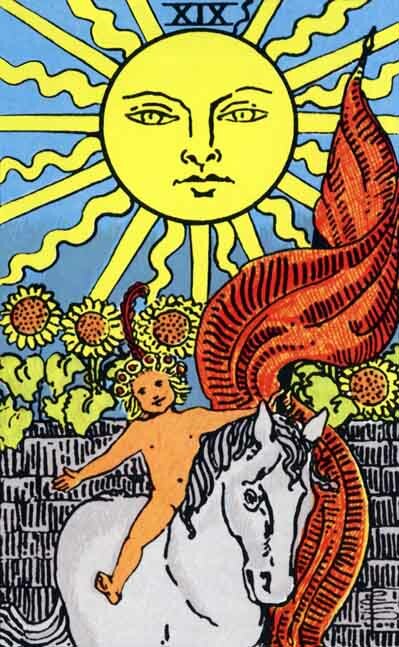 When talking about the esoteric interpretation of the Magician, Waite tells us that: „this card signifies the divine motive in man, reflecting God, the will in the liberation of its union with that which is above. It is also the unity of individual being on all planes, and in a very high sense it is thought, in the fixation thereof“. „Look, this is the Great Magician! With his hands he unites heaven and earth, and the four elements that form the world are controlled by him. The four symbols before him are the four letters of the name of God, the signs of the four elements, fire, water, air, earth”. „It represents the Will. In brief, he is the Son, the manifestation in act of the idea of the Father. He is the male correlative of the High Priestess“. „Tahuti, or Thoth, confirmed the Word of Dionysus by continuing it; for He shewed how by the Mind it was possible to direct the Operations of the Will. By Criticism and by recorded Memory Man avoideth Error, and the Repetition of Error. But the true Word of Tahuti was A M O U N, whereby He made Men to understand their secret Nature, that is, their unity with their True Selves, or, as they then phrased it, with God. And he discovered unto them the Way of this Attainment, and its relation with the Formula of INRI. Also by his Mystery of Number he made plain the Path for His Successor to declare the Nature of the whole Universe in its Form and in its Structure, as it were an Analysis thereof, doing for Matter what the Buddha was decreed to do for Mind“. 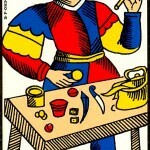 Crowley also connects „the Juggler“ with the Hebrew letter Beth and with the planet Mercury. 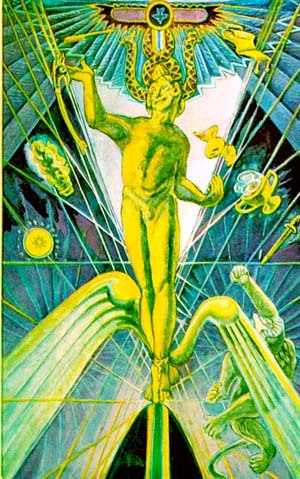 For Papus, the name of this first card of the Tarot is, also, „the Juggler“ and this is how he describes the man in the center of this Major Arcana: „Man with one hand seeks for God in heaven, with the other he plunges below, to call up the demon to himself, and thus unites the divine and the diabolic in humanity. 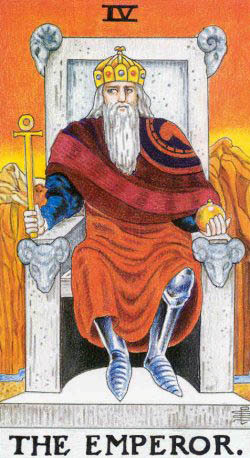 In this way the Tarot shows us the rôle of universal mediator accorded to the Adam-Kadmon“. Share the post "The Magician – Major Arcana Tarot Card Meaning, according to Waite, Ouspensky, Crowley and Papus"